After the fireworks show, light up the night with your creativity! 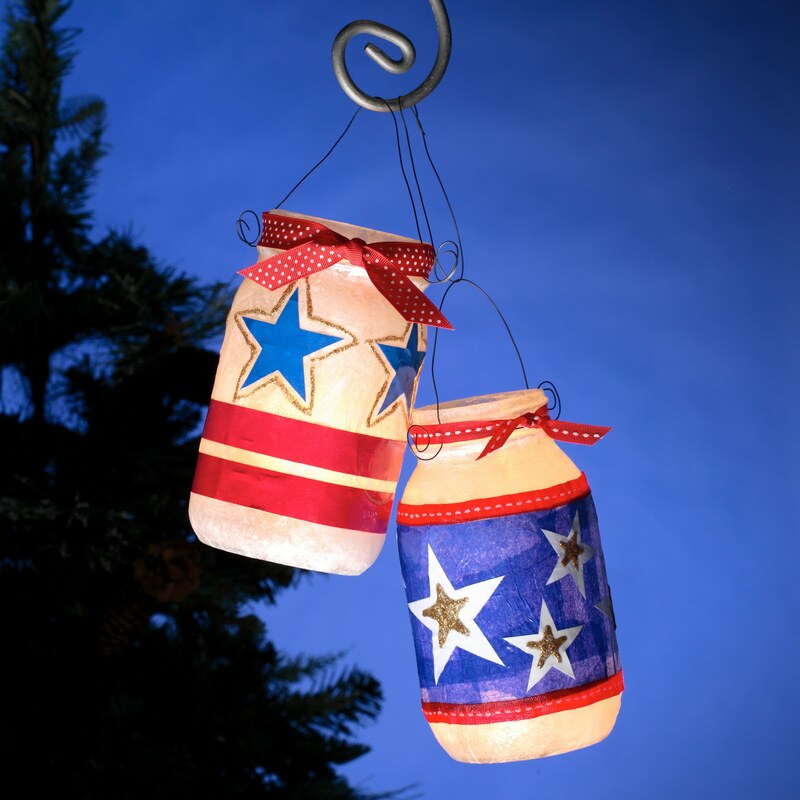 These Starlight Luminaries make the perfect outdoor accent! Dress up old jars with colorful tissue paper and ribbons glued on with Collage Pauge Instant Decoupage™; hang them outdoors for décor that’ll have everyone in the holiday spirit! 1. Protect work surface with plastic bag or paper. Cover immediate area where the jars will be with wax paper. 2. Wash and dry jars. 3. Cut or tear larger pieces of white tissue paper. Cut red and blue tissue paper into strips or stars. Cut enough to wrap around jars. 4. Pour the Matte Collage Pauge Instant Decoupage™ onto foil. Brush onto the jar working on one area at a time. Place white tissue paper onto the jar and brush decoupage onto top of paper. Wet finger in the decoupage and flatten the paper working out any wrinkles or bubbles and make sure the paper is secure all the way around to the back. Cover the whole jar with white tissue in this manner. 5. Choose a strip of red or piece of blue. 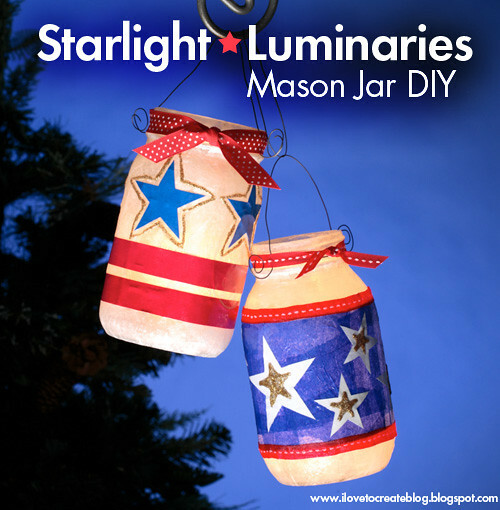 Apply to the jar in the same method described above but placing so that you achieve the stars or stripes designs. Let dry. 6. Embellish with Tulip® 3D Fashion Paint Gold Glitter. 7. Wrap top of jar with wire to hang. 8. Using the Aleene's® Quick Dry Tacky Glue™, glue on ribbon around jar and at top. Here's another great design example! These are cute! I'm going to have to save this for next year. Where does the lighted come from?" I was wondering about the light too. Are they LED tea lights? Also, is there a piece of wire under the ribbon at the top that the wire handle is attached too? ooh! One more question...Do you think you can seal it with a spray like Krylon Triple Thick Glaze? To make it more waterproof if you wanted to leave it outside for a length of time? Jar lights - Get the best deal on colorful jars, solar jars, solar jar lights, gift jars, jar decorations, decorative jars, hanging solar lights outdoor, mason jar solar lights, solar lanterns & jar lights at amazon.com from great selection at Sogrand Industry Inc Store. Decorative jars, - Get the best deal on jar decorations, solar jar, solar hanging lights, mason jar lights, mason jar solar lights, solar mason jar lights, decorative jars, jar solar light, gift jar & solar jar lights at amazon.com from great selection at Sogrand Industry Inc Store. Solar glass jar - Get the best deal on solar jar, solar lantern, solar jar lights, hanging solar lights, solar glass jar, solar lights outdoor, solar hanging lights outdoor, hanging solar lanterns outdoor, hanging solar lights & mason jar solar lights on amazon.com from great selection at Sogrand Industry Inc Store. Mason jar solar lights - Get the best deal on solar jar, solar lanterns, solar jar lights, hanging solar lights, solar glass jar, solar hanging lights, hanging solar lights, hanging solar lantern, mason jar solar lights & outdoor decor on amazon.com from great selection at Sogrand Industry Inc Store. Jar decorations - Get the best deal on solar jar , solar jar lights, hanging solar lights, solar glass jar, solar lanterns, solar hanging lights outdoor, hanging solar lights, mason jar solar lights, garden jar & jar decorations on amazon.com from great selection at Sogrand Industry Inc Store. Mason jar solar lights - Get the best deal on solar jar, solar lantern, solar jar lights, hanging solar lights, solar glass jar, hanging solar lights, hanging solar lantern, mason jar solar lights, garden jar & jar decorations on amazon.com from great selection at Sogrand Industry Inc Store. Get the best deal on solar christmas decorations outdoor, solar christmas lights outdoor, solar table light, solar table lights outdoor, solar table lamp, solar table lamps outdoor, solar jar lights, solar jars with lights, solar glass jars, solar glass ball table light, solar ball lights outdoor, hanging solar lanterns, mason jar solar lights, jar solar lights outdoor & ball solar lights outdoor on amazon.com from great selection at Sogrand Industry Inc Store. Have great fun and enojy an amazing outdoor hanging solar christmas lights glass jar.and eye-catching pattern. It is a magic solar jar for kids room, bathrooms,dinner table and party. 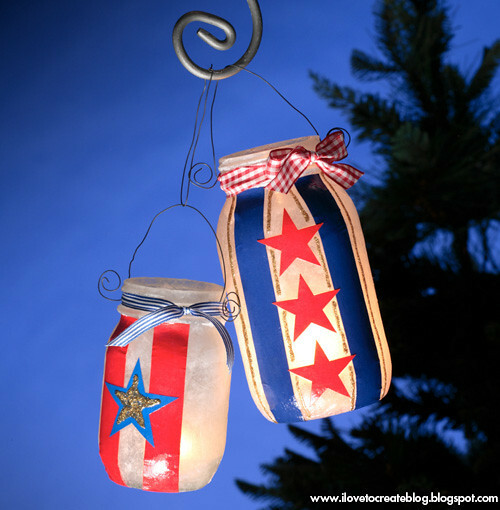 Great decoration solar jar lights outdoor on a patio or deck or on a screened porch. Put on table or hang anywhere you want.This solar galss jar has a rope handle/hanger used to suspend the jar on a hook. Take off the solar lighting cap and underneath is an on/off button. Flip the setting to on and it works. Present beauty of 4 color 8 LED through the jar,get different jar lighting features when you turn or adjust the copper wire inside. A thick rope hanger helps you to hang the solar jar where you want,on tree,before window,or inside. Energy-saving:LED lighting source with high efficiency and lowest power consumption.